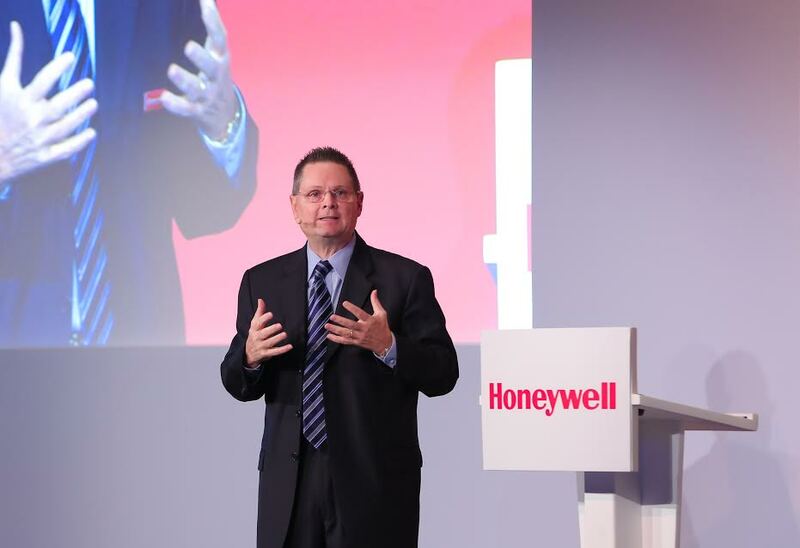 Dubai, United Arab Emirates: With the Internet of Things (IoT) market spend in the Middle East and Africa (MEA) forecast to reach $6.6 billion in 2016*, ‘connectivity’ will be a key theme of GITEX 2016, according to Honeywell (NYSE: HON). The global technology leader will take GITEX visitors on a connected journey from the home to the workplace, by showcasing the latest in internet-connected solutions that demonstrate how homeowners and facility managers can make their surroundings more secure, comfortable, energy efficient and productive. According to Gartner**, there are 6.4 billion connected devices in use worldwide this year – up 30 percent from a year ago – and 5.5 million new devices are getting connected every day. And by 2020 it forecasts that nearly 21 billion IoT devices will be in use. With connectivity positioned as a key enabler of the regional smart city and economic growth visions, Honeywell’s solutions show how IoT is enabling smarter cities for those living and working in the Middle East – from connected homes and buildings, to connected warehouses and industries. VisionPRO® 8000 Thermostat For Mosques – This advanced technology was recently piloted at Al Tawba Mosque is Sharjah, UAE, and achieved a 37 percent reduction in energy costs during the six-month program. Wi-Fi Smart Thermostat® – delivers the ultimate in convenience and control, while facilitating energy efficiency in homes. Honeywell Movilizer – this cloud software enables a distributed workforce to create, deploy and manage workflow solutions remotely. Vocollect Solutions – this voice recognition technology platform is optimized for challenging industrial environments that offer an integrated total solution design, including a headset to host data system integration. The theme for GITEX 2016 is ‘Reimagining Realities,’ where cutting edge technologies and experiences will be demonstrated throughout the week. Honeywell will highlight a selection of its industry-leading product portfolio Oct. 16-20, 2016 at Dubai World Trade Center – Concourse 2, stand #CC2-5A in Hall 7.